While they all appreciate and actively look for diversity, they recognize their own limitations in being able to identify opportunities to celebrate and unify a diverse team with such different backgrounds and experiences. While more than 70% of executives are white men, the increasing diversity of workers means that many of them are managing teams where a sizable number of the members are not from the same demographic. Embrace the differences. Abandon the idea of finding team events or activities that will appeal to all. The new shared identity is the lack thereof – you are unified in the fact that each of you bring a unique, but equally valuable perspective. You will all learn from each other. Ask, don’t assume. Having an offsite and need a team building event? Ask everyone what their guilty pleasure is. Don’t assume everyone wants to play golf, but also don’t book an ethnic restaurant that “matches” someone’s ancestral country of origin. See people as individuals, and focus on who they are, not what they are. Take turns. Not everyone will enjoy all activities equally, and that’s ok, as long as people feel equally heard and get their turn, so to speak. Yes, it’s just like when you were a kid – you learned to share, wait your turn, and play well with others. Learn to connect, even when you can’t relate. In the past, people found something in common to bond over, whether it was a football team or a television show. But don’t panic if you can’t find similar interests. Let different members of your team teach each other about their passions, experiences or history. You can all learn to make sushi, throw pots — or yes, play golf — for an evening. By letting others be empowered to lead the group in an activity, they can contribute — sometimes in ways in which they might not have the confidence to do so during the workday. You can use this as a different way for people to build professional skills. You don’t have to look cool. Some executives feel as if they need to appear fluent in Millennial tastes and culture in order to keep the respect of younger team members. That’s a lot of pressure on someone who is ten or fifteen years older, and it isn’t necessary. Your employees are looking for someone they respect – and being approachable, willing to learn, confident enough to be a follower, and open to new concepts are far more important professional attributes. 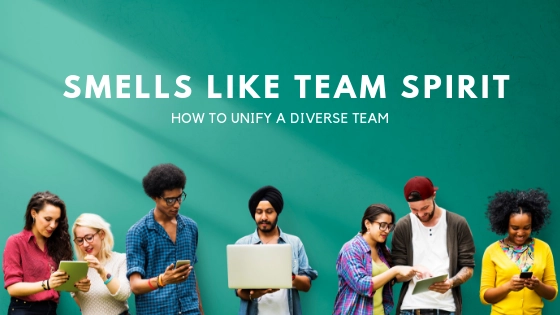 Unify a diverse team by creating a sense of belonging, not a sense of sameness. You don’t have to be paralyzed by your own good intentions when leading a team of employees who are not the same as you. Your colleagues are there to help build a business that you all believe in, to shape their careers, and grow their experience. They want to feel valued and respected and look forward to coming to work. If you want to unify a diverse team, look no further than those shared goals as your inspiration.